Updated individual concert poster for the City of Trees Chamber Music Series. Changed the background a bit to reflect the changing season. Added snow to the mountains, more color to the trees, and greyed out the sky a bit to make it look more wintery. 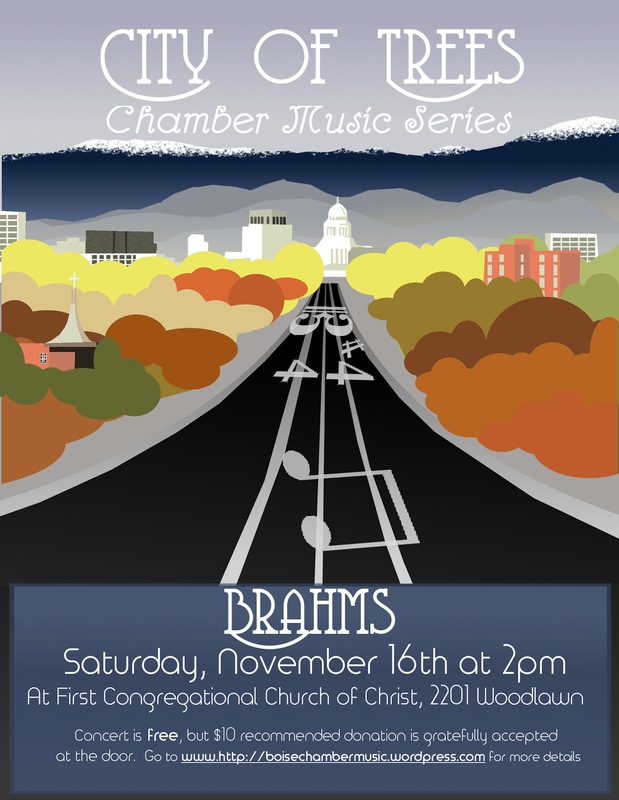 Interested in learning more about the City of Trees Chamber Music Series, or learning more about concert dates? Check out their website, or give them some love on Facebook! Interested in hiring me to do some design work for you? Shoot me an email!